We have taken this old world bread mix to a new level with the addition of Herbs de Provence! 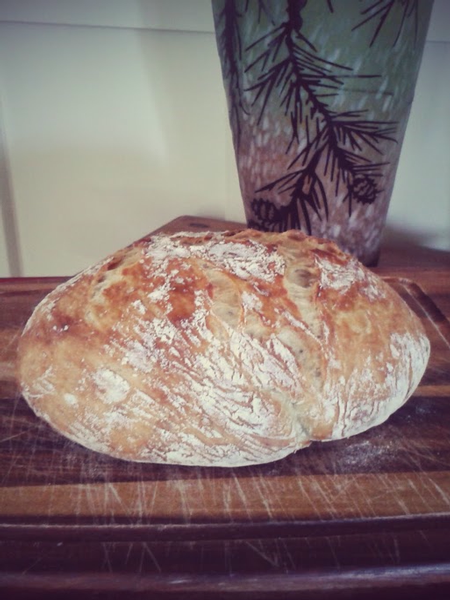 Starting with a traditional european style yeast bread with a tough crust and moist, tender, chewy interior, why not add the great flavors found in Herbs de Provence? Adding only water to the mix, time is the friend of this yeast bread. Cover for 12 hours or more and the yeast does all the work. No kneading or a second rising is required. Just bake in a covered oven proof dish at 450 and the bread will steam to produce the crust we all love to tear into with a moist chewy inside just waiting for some olive oil or butter. You may never buy bakery bread again. What are the herbs found in our Herbs de Provence? Thyme, savory, basil, rosemary, lavender, fennel seed, and marjoram. These mixes are hand crafted in small batches in Ailey, Georgia.